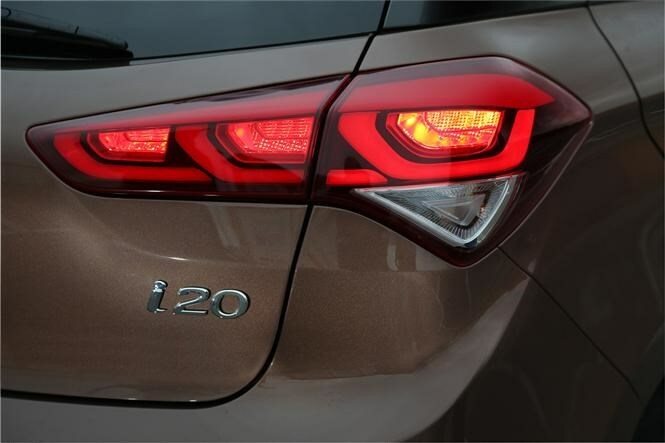 Main image caption The New Hyundai i20. 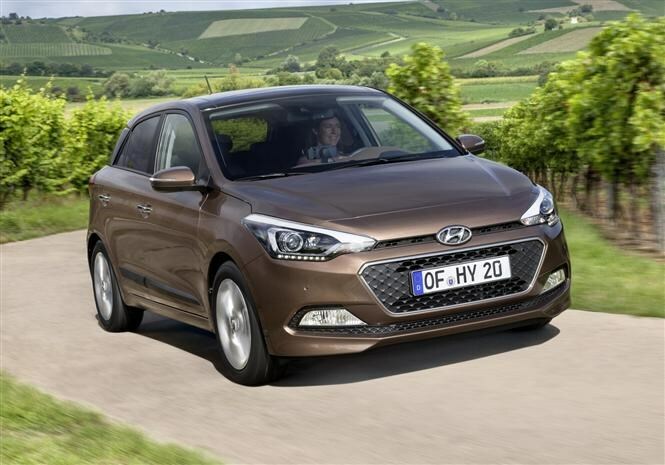 The all-new Hyundai i20 is designed to appeal to younger buyers as well as offering more space for passengers and luggage inside. 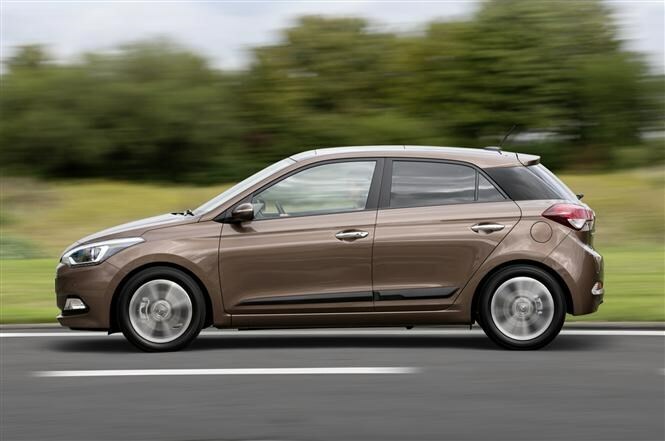 The Korean company's new small hatchback takes the sales fight to the popular-selling Ford Fiesta and Vauxhall Corsa. 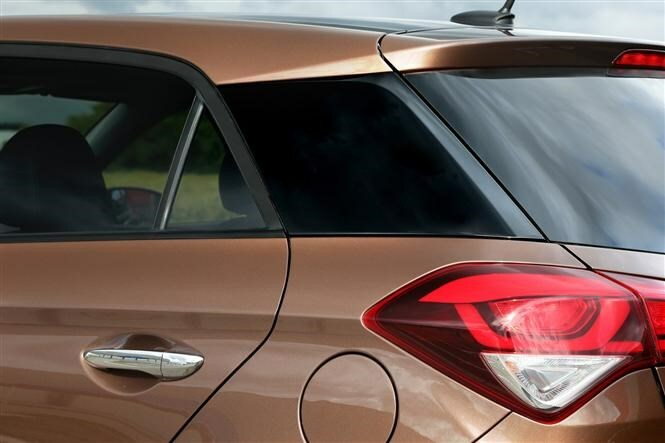 While it is clear the new Hyundai i20’s looks are much more eye-catching than the current model, it also offers more space inside for luggage and passengers. Boot space is up to 326 litres from 295 litres of the original i20, and compares to the Corsa’s 285 litres and the Ford Fiesta’s 290 litres. 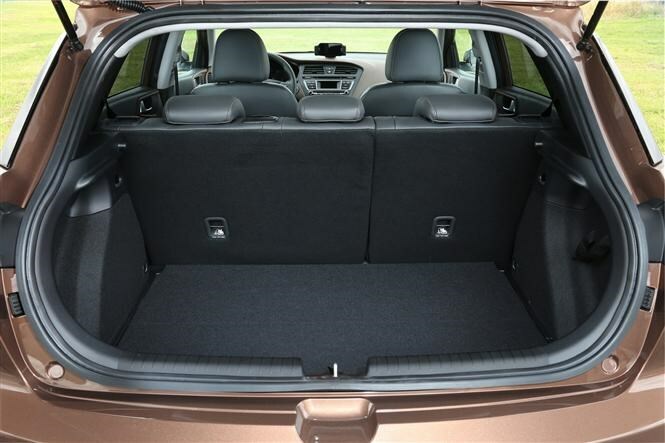 Flatten the rear seat bench (it folds flat) and luggage capacity grows to 1,042 litres. Hyundai is also confident that, thanks to the i20 being longer and wider than before, it can now seat five adults in comfort. 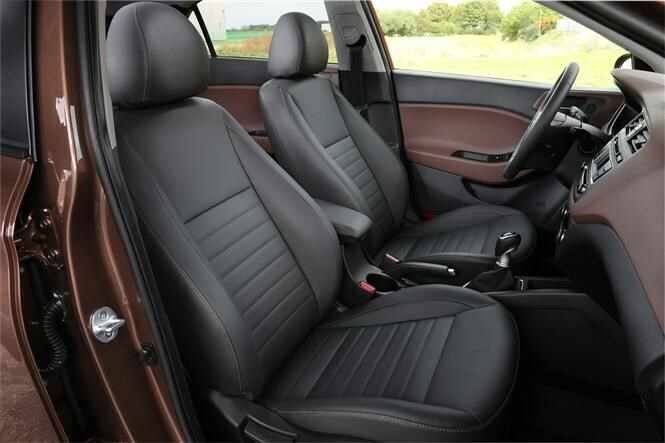 As well as more space for passengers the i20 should offer a smoother, quieter ride too, thanks to greater use of sound absorption material and new noise deadening packaging. There is also a panoramic sunroof that contributes a light and airy feel to the cabin, plus it can be tilted and fully opened. There is a strong focus on creating a more premium feel to the interior with the use of gloss black inserts, soft touch materials and chrome detailing touches. 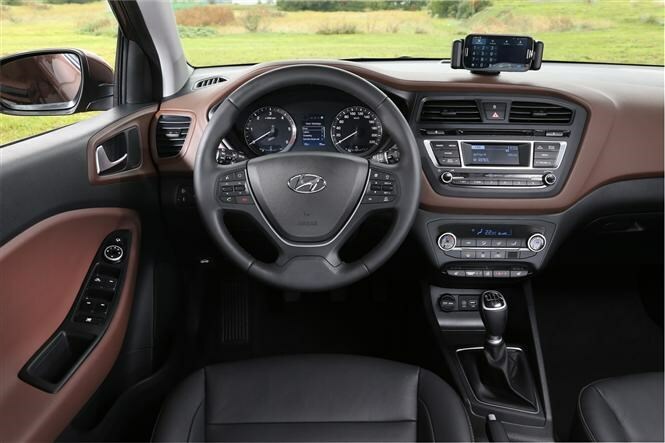 The new i20 features a dashboard-mounted docking station so it is easy to view by the driver and front passenger. There are aux and USB connections fitted as standard, and there is an option of an integrated music function that includes Bluetooth connection and 1GB of storage for music files. Other features on the car include sat nav accessible via the seven-inch, dashboard integrated screen, auto folding door mirrors, front and rear parking sensors and even a heated steering wheel. Hyundai is offering a total of five engine choices including a 1.25-litre and 1.4-litre petrol and a 1.1litre and 1.4-litre diesel. All engines will come with either a five or six-speed manual. It’s also likely they will come with stop/start technology as well as other fuel saving measures, though there is no word as to whether there will be a full-on Eco version. Hyundai’s five-door compact hatchback will go on sale in 2015 and further details are expected in early October at the Paris Motor Show. Parkers will have more details and the full Hyundai i20 review soon. 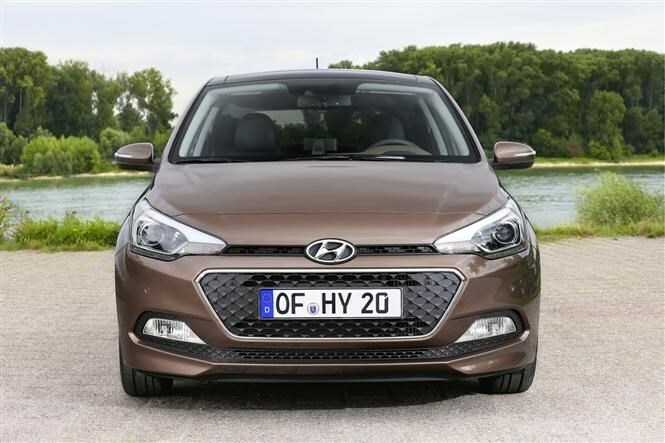 In the meantime check out the current Hyundai i20 review and offers on the Hyundai i20. 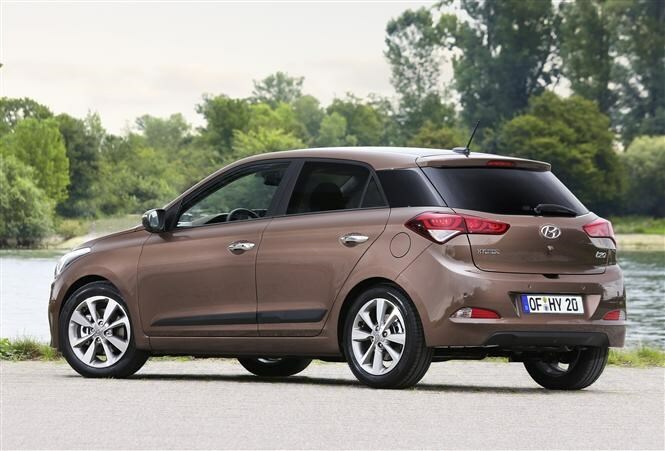 The New Hyundai i20. The New Hyundai i20. The New Hyundai i20. The New Hyundai i20. The New Hyundai i20. The New Hyundai i20. The New Hyundai i20. The New Hyundai i20. The New Hyundai i20.